The precise observations of mating habits at the end of the 20th century make Harald Martenstein's new novel irresistible. 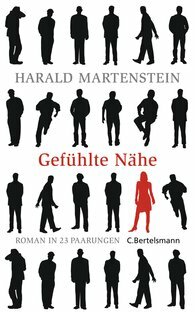 In it, he describes 23 men in archetypical situations who all have one thing in common: the same woman, a woman we only ever know as N.
Martenstein spreads the various men and affairs out along the line that is her love life and life story – a novel in 23 amorous adventures. The tales and situations complement each other, show behavioural patterns, make up a history of customs in private life – but they are, more than anything else, one thing: surprisingly funny and self-willed.